Today’s post is about kitchens! I am showing you my favorite style of kitchens: modern country kitchens. Even a very basic kitchen like the one in the image above can be cosy. I love this wooden kitchen. We originally wanted to have a wooden kitchen in our home but as we already had a wooden floor we thought that it would be too much. 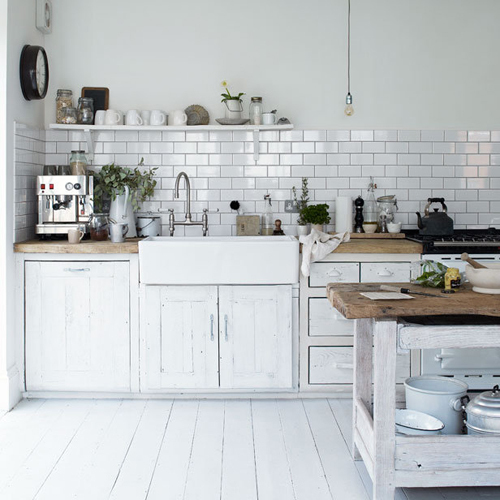 The subway tiles in that kitchen are just brilliant! I love the sink, I have a thing for large sinks and this one ticks all the boxes! I like tiles and wooden furniture in the kitchen every day more, and you have united both in the same post. Thanks! I really love that timber kitchen. Whew! I love all the beautiful kitchen inspirations! 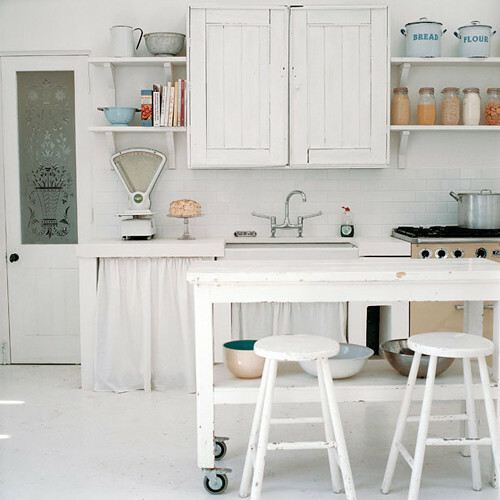 Great mix of bright white and rustic wood in the first kitchen. I also am swooning over the plate wall. 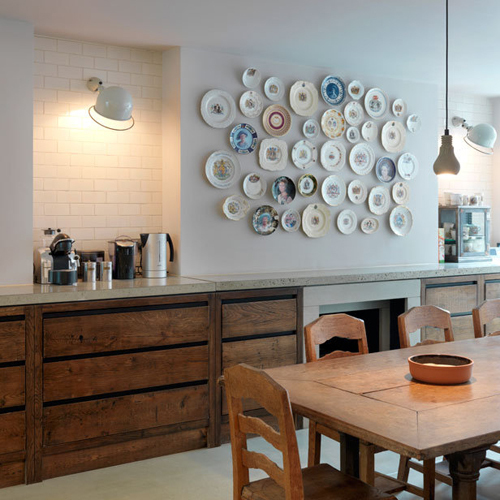 Love the tiles and plates on the kitchen walls! beautiful timber kitchen and plate,tiles on the wall also. anyone know where I can buy the scone in the wood kitchen? 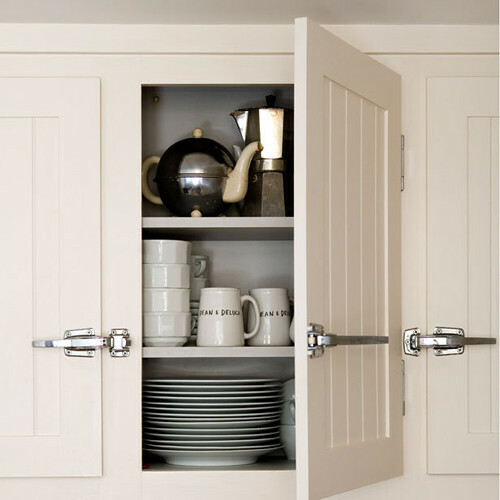 Can anyone provide any suppliers for the old fridge style handles for kitchen cupboards? Fabulous Interiors, Like the design!